Genesis large character inkjet printers print large, clear information on outer cartons. These printers are easily installed on carton sealing equipment. The standard SingleLine is a "basic function" unit for simple applications printing one line of text in 3 different font heights. The SingleLine "PLUS" has the unique rotating nozzle assembly to achieve smaller fonts and communications capabilities. The TwinLine can print up to 2 different lines of text in a variety of fonts. The VariLine can print both 1 line (normal and extra large), 2 different lines or with 2 lines spanning the 1 line in a variety of fonts. The VariLine has the unique rotating nozzle assembly enabling a wide range of font heights. Compact printer which is easy to install. The Genesis Large Character inkjets are incredibly simple to install, maintain and operate. All printers come complete with inbuilt product sensor and adjustable mounting bracketry to make installation a simple matter of bolting the coder to the side of a conveyor or carton sealing unit. Low maintenance - user serviceable!! The LCPs feature an automatic cleaning sequence and removable nozzles. This makes the unit fully user serviceable with no requirement for service contracts. Genesis LCPs use pressurised sealed cannisters which simply click in to a holder with no spillage or mess. A "low-ink" indicator (with an optional external beacon) tells you when to change cannisters. The Genesis 500ml cannisters are the largest capacity LCP cannisters on the market and are available for both porous or non-porous applications. automatically incrementing use-by, production dates and shift codes. Up to 50 messages and settings like print speed and direction can be stored. If you are looking for an affordable, reliable and simple to install and operate inkjet then the Genesis system is the answer for your marking application. Dont be fooled by the low price - this unit is a real workhorse which will give many years of printing service without major headaches. 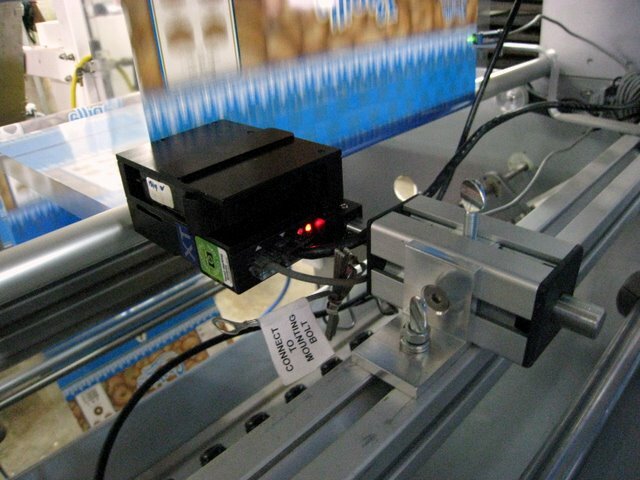 Using the Hot QuickCoder system it is now possible to apply UV-marks on your products and/or packaging at very limited costs. The latest portable inkjet printer technology is now available - the portable inkjet printer pen. It works using inkjet technology but operates like a pen, allowing a user to "write" on a surface with consecutive serial numbers, time-stamps, date-codes or just plain text. The EVOLUTION inkjet printing systems are continuing to impress with their versatility, proving themselves capable of being expanded far beyond their initial design scope. In this case, the EVOLUTION inkjet was installed on a form-fill-seal machine, synchronised using a speed encoder and triggered via an external sensor - offering a printing alternative at almost a third of the cost of a thermal transfer coder!